The Deer Park St. Paddy’s 5K/10K Run will be held on March 17, beginning and finishing at Deer Park Town Center, 20530 N. Rand Road. The Village of Grayslake Economic Development Commission recently named Saia LTL Freight as the recipient of the 2017 Economic Development Award. The award is given annually to businesses or individuals who bring increased awareness of/positive recognition to Grayslake; make outstanding effort and/or investment in the community to strengthen the area’s economy; make a significant contribution to the expansion of the community’s tax base and the generation of additional revenue in the area’s economy; and promote an environment that provides for additional job opportunities. Saia LTL, one of the largest retail freight carriers in the United States, opened its Grayslake location at 2260 Midlothian Road in February 2016. The state-of-the-art facility consists of a 46,900-square-foot dock facility, a 5,000-square-foot office and a 19,360-square-foot maintenance facility. Saia LTL currently employs 72 full-time workers and 14 part-time workers at the site. For more information, call 847-223-8515 or visit www.villageofgrayslake.com. The Buffalo Grove Professional Firefighters and Paramedics Association (BGPFFPA), Local 3177 of the International Association of Firefighters (IAFF), has created the Kevin Hauber Memorial Trust Fund. The trust fund will benefit the four young children of Hauber, a longtime firefighter/paramedic with the Buffalo Grove Fire Department who passed away on Jan. 27 after a four-year battle with colon cancer. Hauber began his career with the Buffalo Grove Fire Department in 1994. In 2004, he joined the Associated Firefighters of Illinois (AFFI) Honor Guard, which exists to provide final honors to fallen firefighters throughout Illinois. The AFFI Honor Guard recently presented Hauber with the 2018 Donald J. Bower Commitment to Excellence Award for his dedication and commitment. Donations to the trust fund can be made by check and should be written as follows: Kevin Hauber Memorial Fund c/o BGFFPA. Send checks by mail to: Buffalo Grove Fire Department, 1051 Highland Grove Drive, Buffalo Grove, Ill. 60089. Donations also can be made at any First Midwest Bank Branch. 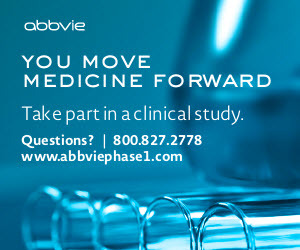 For more information, call 847-459-2500 or visit www.vbg.org. Barrington 220 Community School District announced the purchase of a vacant office building, located at 515 W. Main St., directly across from Barrington High School. The building is being acquired from PepsiCo Inc., which used it most recently as a facility for Gatorade. The Barrington 220 Board of Education approved the $1.1 million purchase on Feb. 6. The board stated that the vacant office building provides a strong option to relocate the school district’s administrative office, currently located at 310 James St. Officials identified several improvements and benefits this would provide for the district, including the ability to house all district level staff in the new building, which is nearly double the size of the current district office. In addition, the building’s proximity to Barrington High School will provide better collaboration and professional development opportunities for district and high school staff, and the building also can be used as a relocation/safe shelter if there is an emergency at the high school that requires evacuation. Additional parking spaces would be available for off-hours special events at the high school as well. The purchase also enables the district to avoid significant capital expense to maintain the existing administrative office. The district anticipates moving into the new building this summer. For more information, call 847-381-6100 or visit www.barrington220.org. 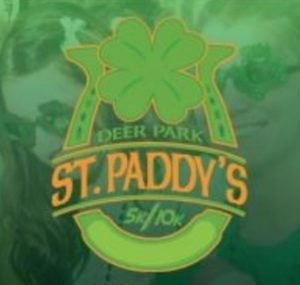 The Deer Park St. Paddy’s 5K/10K Run will be held on March 17, beginning and finishing at Deer Park Town Center, 20530 N. Rand Road. The event serves as a fundraiser for WINGS, a Palatine-based housing agency that provides emergency safe shelter and transitional housing for victims of domestic violence, and connects clients with a wide range of services such as counseling, legal assistance, mentoring, life skills support and career services. Event-day packet pick-up will be available from 7:15-8:05 a.m., followed by the Kids Dash (ages 10 and under) at 8:15 a.m. The 5K and 10K races will begin at 8:30 a.m. Medals will be awarded to the top three finishers (male and female) in each age group and overall, beginning at 9:15 a.m. Each Kids Dash participant will receive a finisher’s ribbon. All participants will receive an event-themed pullover hoodie, and special St. Paddy’s pint glasses will be distributed at the finish line to the first 1,000 registrants. The fee is $50 (5K), $60 (10K) and free (Kids Dash). To register, visit www.allcommunityevents.com/deerparkstpaddysrun. For more information, call 224-757-5425 or visit www.villageofdeerpark.com. The village announced that a partnership has been formed with Lakes Youth Athletic Association, allowing the Lakemoor T-Ball program to merge with the Wauconda Baseball and Softball (WBS) Shetland program under the WBS umbrella. The Shetland league is intended for pre-K through K (ages 5 and 6) boys and girls, and is designed to initiate players with the basic elements of baseball in a fundamentally sound way. A safety ball is used during all games and practices. The main differences from Lakemoor’s T-Ball program include more flexibility in scheduling games and practices, and coaches pitching to batters (with tees available). Practices will begin in late March/early April, with games scheduled to begin in the last half of April (weather permitting). The 2018 season runs through June. Games will be played at Heritage Park, located on Darrel Road. For more information, including complete registration details, visit www.lakemoor.net — or call 815-385-1117.